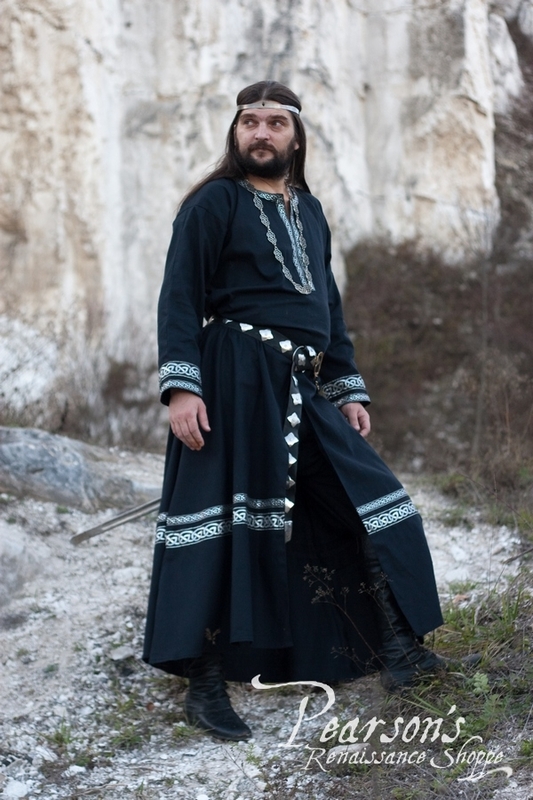 This amazing medieval tunic is great for both noble and magic characters. 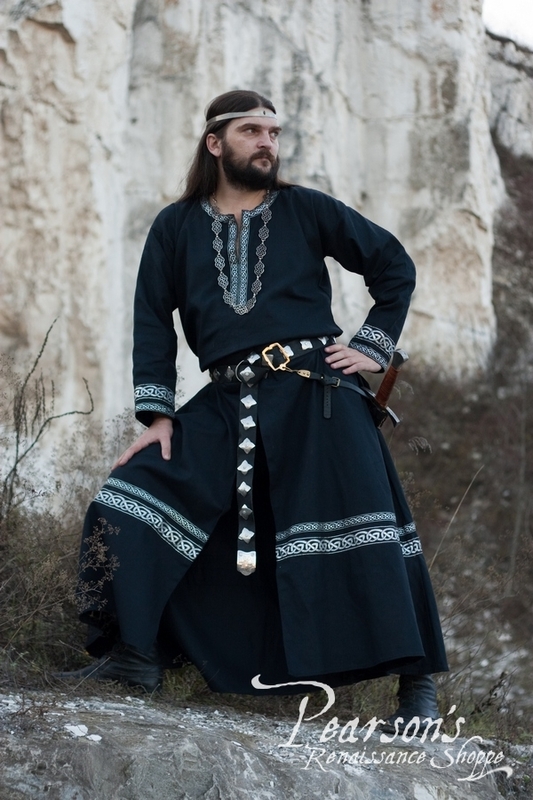 It's made of 100% natural cotton with original silver trim (this trim is specially designed by manufacturer and implemented into construction). 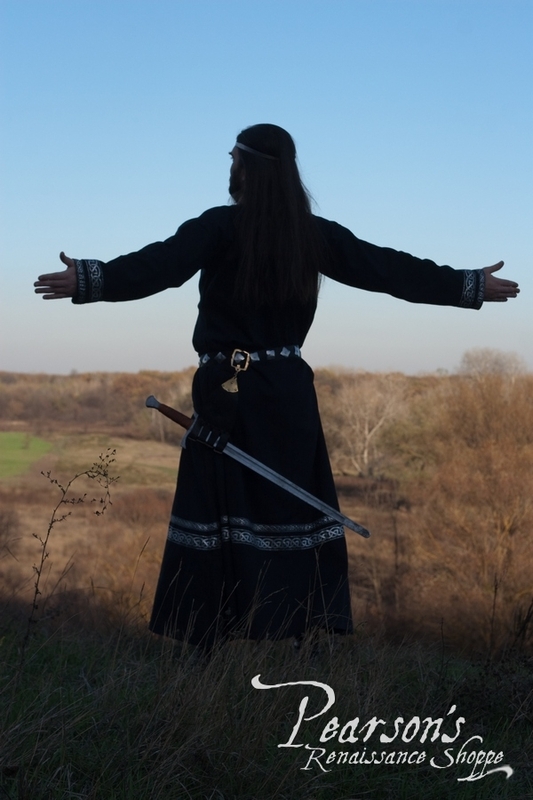 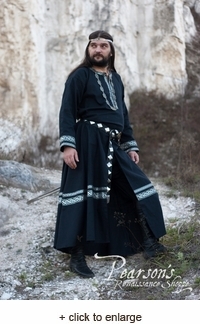 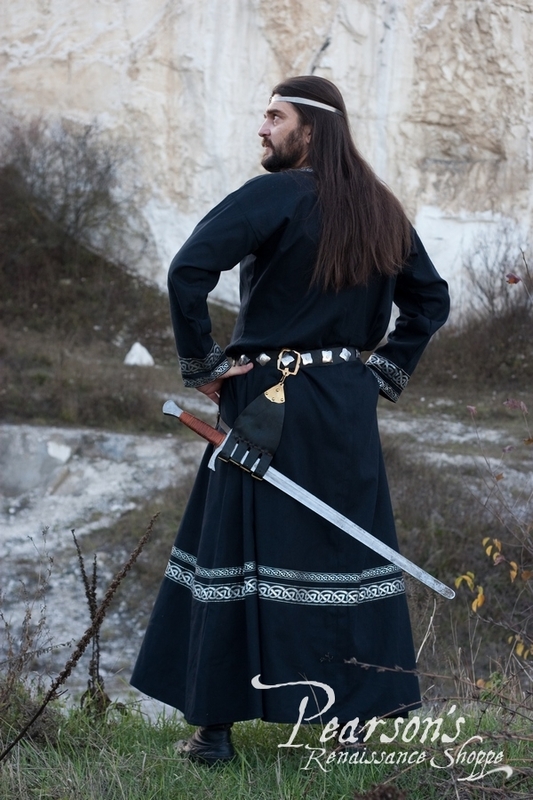 Heavy belt and medieval boots are not included, but available in our store as well as matching medieval wool cloak.